It can be interesting to see how certain aspects of estate law can work in conjunction with other sectors, and a basic understanding of the related issues is often important when assisting clients in developing or implementing an estate plan. While estate law often functions as its own branch of law entirely, there are areas of law that may intersect with estate law and which are important considerations when creating, managing, or implementing estate plans or trusts. Some practice areas with which estate law may intersect include real estate, corporate law, family law and criminal law. It can be interesting to see how certain aspects of estate law can work in conjunction with other sectors, and a basic understanding of the related issues is often important when assisting clients in developing or implementing an estate plan. Real estate law is an important consideration in estate planning for multiple reasons. Especially in light of the current housing market, real property may often be the primary asset of an estate. It is important to be aware of the existence of any mortgages that may be registered against a property. Mortgages remaining at date of death can represent significant debt against the estate. An estate trustee or executor must be aware of any mortgages or other debts the deceased had, as any debts must be paid out of the estate. Real estate law is also important after death as it is necessary to know how the deceased held the property. During the estate planning process, the nature of property ownership can be used to transfer property directly to a beneficiary, without passing through the estate. For example, title held by two or more people can either be organized in joint tenancy or as tenancy in common. A property registered in joint tenancy means that the asset passes automatically to the survivor, subject to the presumption of resulting trust that applies in some circumstances. The other type of title is tenancy in common, which has each individual on title jointly, yet they can individually sell, mortgage, bequeath or have seized their own share of the property. It is very important for lawyers to conduct a title search to verify what the property is and how it is held, as it can have a significant impact on the administration of an estate. Ideally, it will be confirmed during the estate planning process that both title and testamentary documents reflect the testator’s intention. Corporate law is another area of law that can intersect with estates. 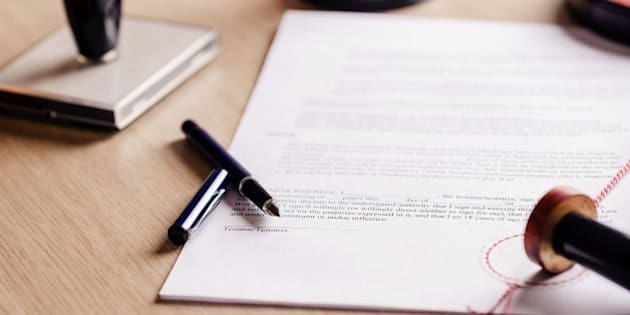 It is common for individuals who own corporations to create two separate wills: a personal will, and a corporate will, in which it is specified what will happen to a business or corporate interest on death. It is important that an estate plan properly implements the testator’s intentions with respect to business interests. During the estate administration, the assistance of corporate counsel may be required to assist in the appointment of new directors and/or officers, to transfer ownership of the shares, to attend to any other restructuring as a result of the death, and to properly register these changes. In some cases, the option of what is known as an estate freeze should be explored. Family law intersects with estate planning through both the Family Law Act (the “FLA”) and the Succession Law Reform Act (the“SLRA”) following the death of a spouse. Both the FLAand the SLRA contemplate the support of surviving spouses. The FLA is focused specifically on married spouses, while the SLRA addresses the support obligations with respect to dependants, which includes a common-law spouse of the deceased, as well as a parent, child, or sibling, to whom the deceased was providing financial support and/or legally obligated to provide support. Both of these statutes need to be considered during the preparation of an estate plan. There are provisions in the FLA that allow an individual whose married spouse has predeceased him or her to elect to proceed in property division under the FLA, as if the couple had separated on the date before the date of death, rather than receiving assets left to him or her pursuant to the deceased’s estate plan or on intestacy. An intersection between family law and estate law can also be found through dependant support claims pursuant to the SLRA and the equitable doctrines of unjust enrichment, quantum meruit and constructive and resulting trusts. These doctrines have been developed through case law, in leading cases such as Kerr v Baranow and Vanasse v Seguin, 2011 SCC 10. These doctrines may represent an intersection between family and estates law as they can be applied to provide for a spouse who contributed to a domestic partnership in ways other than financial contributions, such as through housework, or emotional support. Both dependant support, as well as applicable equitable doctrines, can serve as a way for individuals to obtain support beyond what is provided for within testamentary documents. Criminal law can also affect and intersect with estate law. The law is clear that murder will prevent a person who is criminally responsible for the death from inheriting from the estate of the victim. Typically, the beneficiary must be found guilty and exhaust all rights to appeal before the courts will intervene to void a testamentary gift or a beneficiary designation. Aside from murder, section 366 of the Criminal Code, which deals with forgery or offences resembling forgery, will also operate to prevent a person from inheriting under a will. If a will came about by fraud or forgery, a fraudster beneficiary cannot take under the will if found guilty. A court will also not enforce a gift in a will that encourages the commission of a crime. As the above examples illustrate, estate law is an independent branch of law that is, nevertheless, highly intersected with other practice areas. When creating an estate plan or dealing with estate issues, it can be helpful to obtain the assistance of a lawyer who understands not only estate law, but the related fields with which it frequently interacts.